The Russian Investment Agency receives a blocking stake in JSC “Russian Railways – Development of Railway Stations” (RZD-PB). 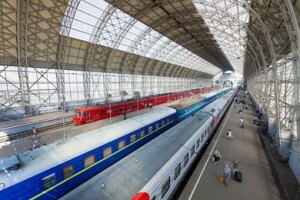 The Russian Railways have decided to change the scheme of attracting investors to develop its railway stations, giving up renting them. Until the end of August the shareholders of RZD-PB – JSC “Russian Railways” (which owns a 25% stake through its subsidiary “Baminvest”) and “System Service” (75% of the shares, the beneficiary – the RZD PB CEO Sergey Pak) – must agree on the sale of 25% plus one share to the Russian Investment Agency “Invest in Russia” (RIA). RIA will buy out the share of “System Service”, and the deal could reach 673 million rubles. RZD-PB was established in 2009 by “Baminvest” in order to assist DZV (Railway Stations Management) in the implementation of the program of comprehensive modernization and development of railway stations until 2015. The Agency is ready to attract for the development of transport hubs and the modernization of the station complexes at least 10 billion USD. The deal is being negotiated with the investment funds from China, India, Singapore, Kuwait, UAE, Bahrain, South Korea and Japan. The pool of investors will be defined in August, with each of them the joint venture will be created and a contract for ten years will be signed. Discounted payback period of investment should be 7-13 years. Investors will have the opportunity to develop commercial services – hotels, shops, shopping centers.